Our new home has a 6 foot entryway wall between our living room and our bedrooms, which I love because I’ve always wanted an entryway table with a large mirror (just one of my many décor fantasies)! We ordered an entryway table about 2 weeks ago (it should be here any day now) and I’ve been looking for a lamp to complement it ever since. 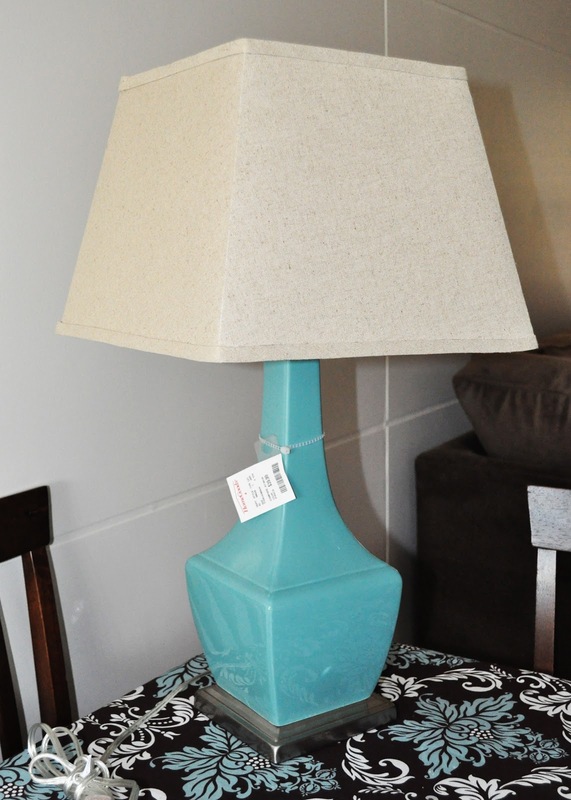 I looked online and at all my favorite local home décor stores, but on Saturday I finally found the perfect lamp at HomeGoods in Westchester. Isn’t it gorgeous! Nice! Can't wait to see it in real life! I hope to have alot done by Super Bowl, but you'll see it at our next game night!